Industry 4.0, or the fourth industrial revolution, is happening now. The factory of the future combines the real world of production with the virtual world of information and communication technology. The advancements that come with this shift present both challenges and opportunities for production. Workers are interacting with each other and machines in new and different ways. New positions are being created as the need for programming, coding, robot design and machine maintenance continue to rise. In the age of Industry 4.0, shops need a competent workforce that can work in an advanced manufacturing setting, and continue to learn, in order to replace an aging labor force and grow with the ongoing innovations that are happening. Despite the high demand for workers, most colleges and universities are not incorporating the types of courses and programs that are needed to train students for advanced manufacturing jobs. In turn, high tech, high paying jobs are going unfilled. According to the Manufacturing Institute, over the next decade, 3.4 million manufacturing jobs will need to be filled; 60 percent of these positions are likely to go unfilled due to the talent shortage. The education system needs to play a stronger role in filling the skills gap for advanced manufacturing. Campuses need to bring simulated smart factories into the classroom so students can gain hands-on experience in advanced manufacturing. Students need to be encouraged to explore technical careers, which often fall victim to the public’s misconceptions. In a survey conducted by the Manufacturing Institute, participants ranked manufacturing as the fifth career choice for themselves out of seven possible industries, only 37 percent said they’d encourage their children to pursue a manufacturing career. However, respondents with high familiarity with modern manufacturing ranked it third out of the seven core industries as a career choice and were twice more likely to say they would encourage children to pursue a career in manufacturing. Some view manufacturing as a low-skilled profession, which isn’t the case. Jobs in advanced manufacturing aren’t for those who “couldn’t cut it” in college. In fact, advanced manufacturing jobs require a high level of skill and understanding of STEM subject matter. On average, these professionals earn an annual salary of $95,000, according to a report from General Electric. 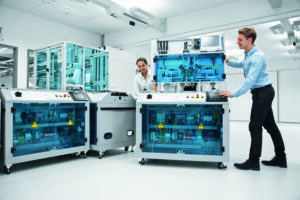 As a global leader in automation, Festo Didactic works with both industry and education partners, which puts us in a unique position to help higher education institutions innovate and shift toward advanced manufacturing. Both sides can work together to build a bridge between education and employment. In our experience, these needs can be met through a number of solutions. When K-12 students have exposure to things like robotics, virtual reality, and other exciting aspects of STEM, it ignites their passion for these subjects. When college and trade school students have access to software and lab equipment that allows them to interact with the technology and machines they will eventually work on in their future career, they are able to not only prepare themselves for success, but also confirm their decision to pursue advanced manufacturing. The future of manufacturing in the United States relies on the industry’s ability to recruit and train a technical workforce with strong Industry 4.0 skills. The U.S. can look to countries like Germany, China and Japan, who have become leaders in innovation in manufacturing. Japan, for example, is known for its commitment to automation and quality control. Meanwhile, Germany has focused on nurturing talent by making it easy for them to get the skills they need as companies implement more advanced manufacturing processes. In particular, their emphasis on apprenticeship programs allows students to get hands-on experience before starting their career. The United States needs to do more than just follow suit. Not every method that works abroad will be a good fit. But the fact remains that it would be in the U.S.’ best interest to keep pace with the rise of industry 4.0. In recognition of this, President Barack Obama has allocated more than $500 million to invest in new technologies to create high quality manufacturing jobs. Using these efforts as a starting point, the U.S. can boost manufacturing and help re-establish it as an attractive career path. Mike Nager is the Business Development Manager for Festo Didactic Solution Center in Eatontown, NJ. 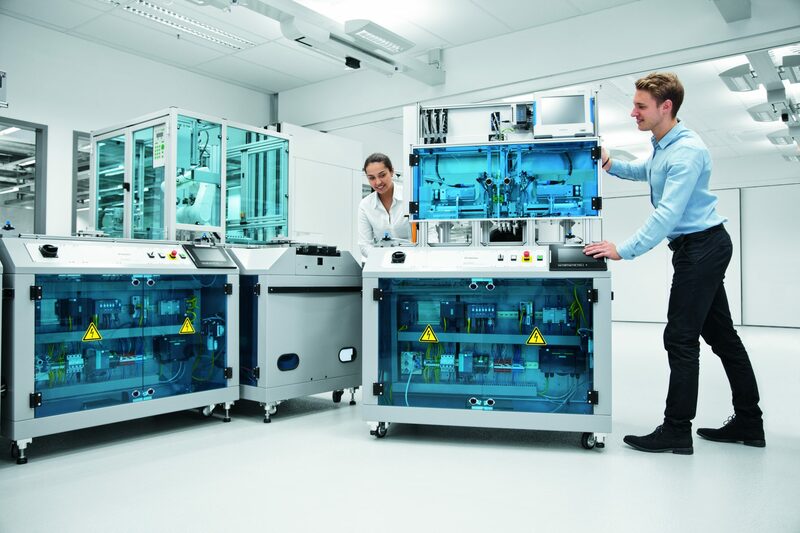 As the global leader in automation, Festo Didactic’s mission is to provide industry and education partners with the technology and training support they need to develop the workforce of tomorrow.